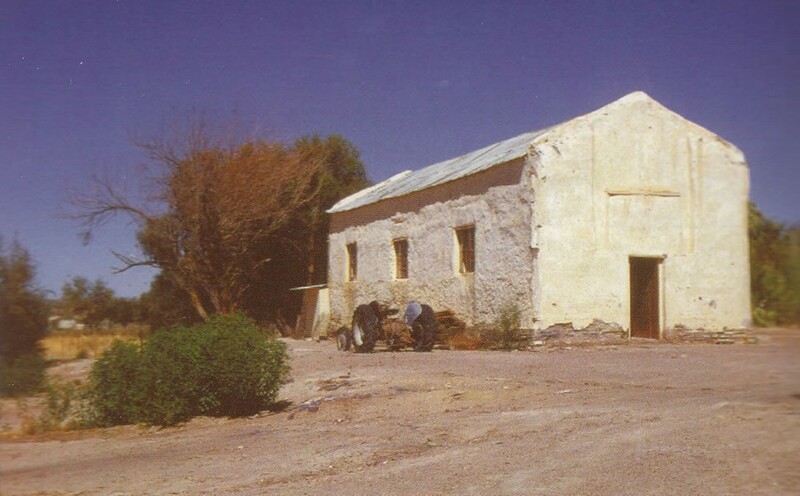 Missionary church at the Schmelen Haus after restoration in 1998. 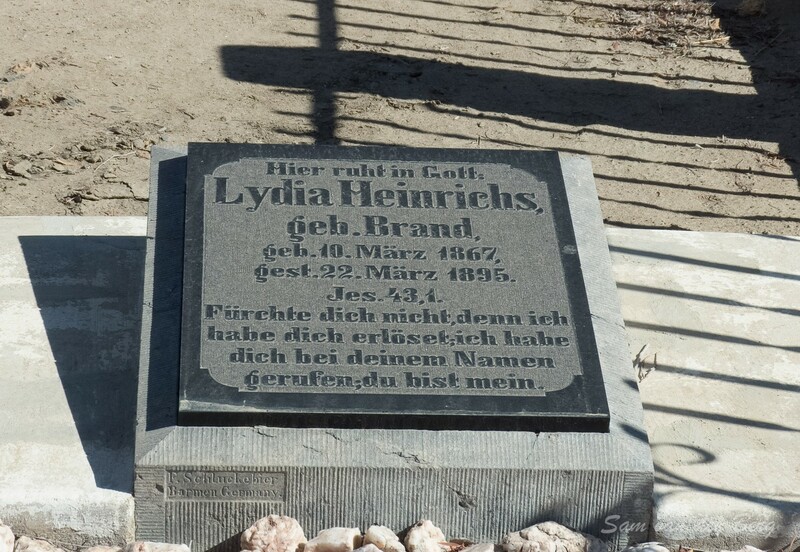 Grave of Lydia Heinrichs geb. Brand. 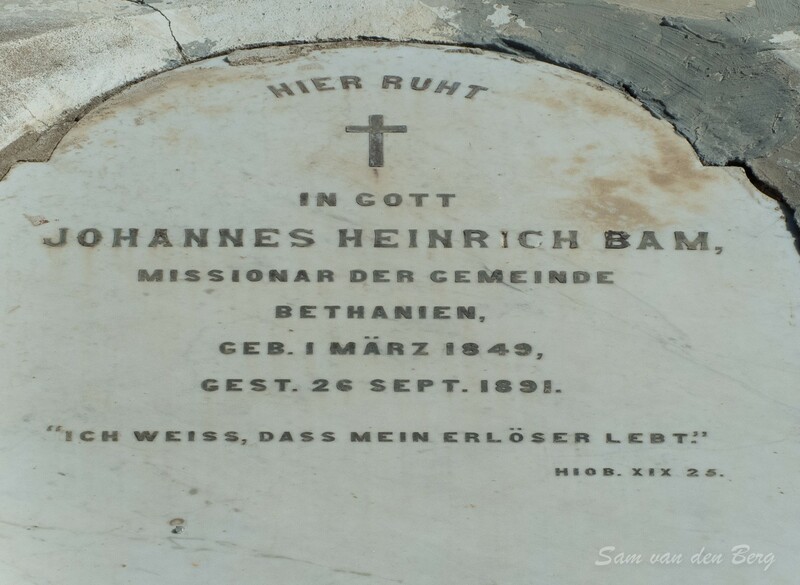 Grave of Johannes Heinrich Bam. 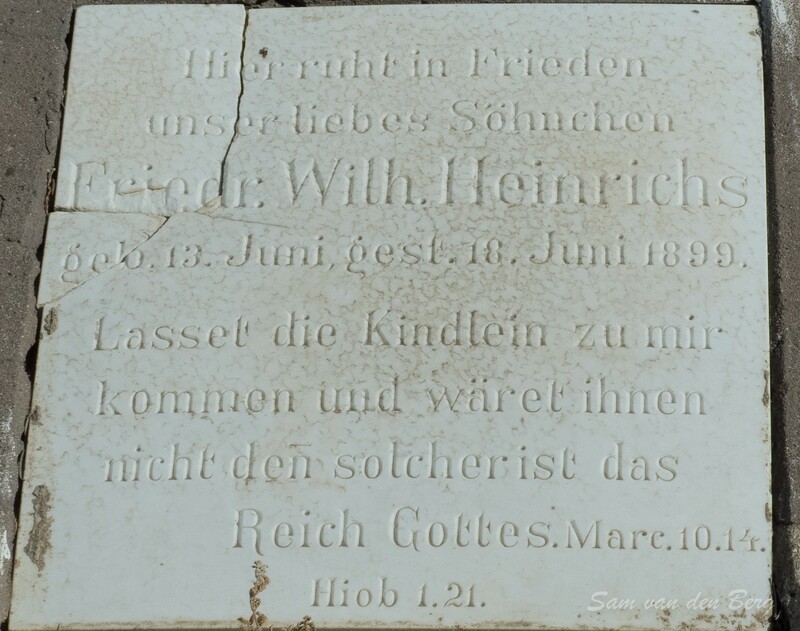 Friedrich Wilhelm Heinrichs only 5 days old. 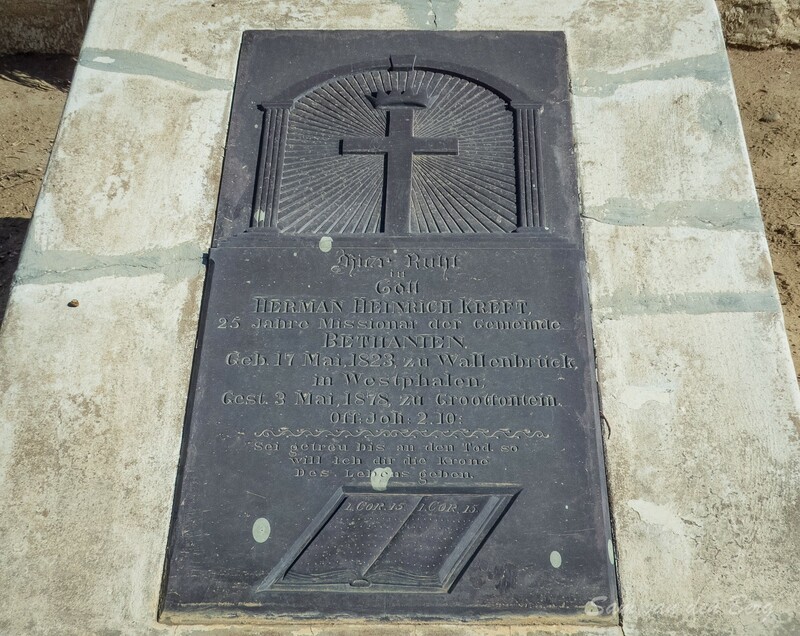 In 1814 missionery Johann Heinrich Schmelen (1777-1848) of the London Missionary Society settled at Bethanië. Shortly after his arrival he built a small, one-roomed stone house. Schmelen lived in this room until his departure in 1834. The building burnt down at some stage between 1830 and 1842. 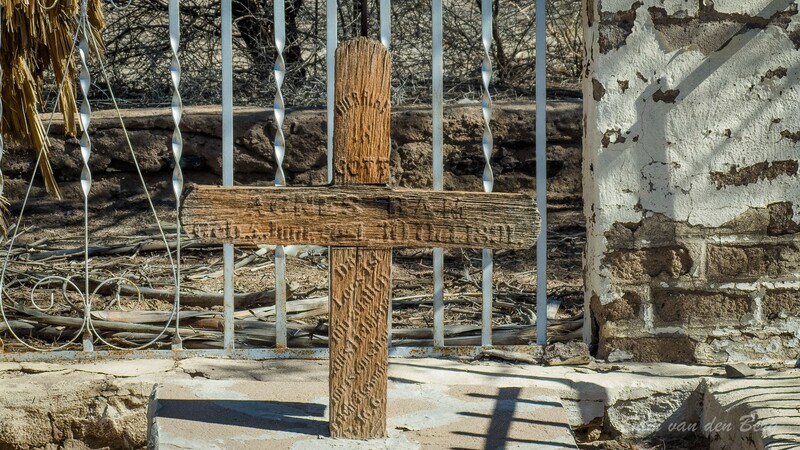 In 1842 the station was taken over by missionary Hans Christian Knudsen (1818-1863) of the Rhenish Mission Society. 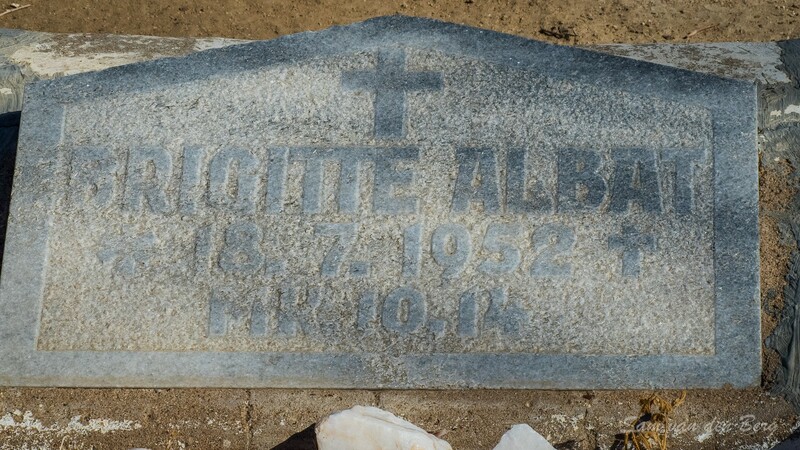 He was active in Bethanië until 1851. He rebuilt Schmelen’s original house from the remaining foundations, and lived there for several years. 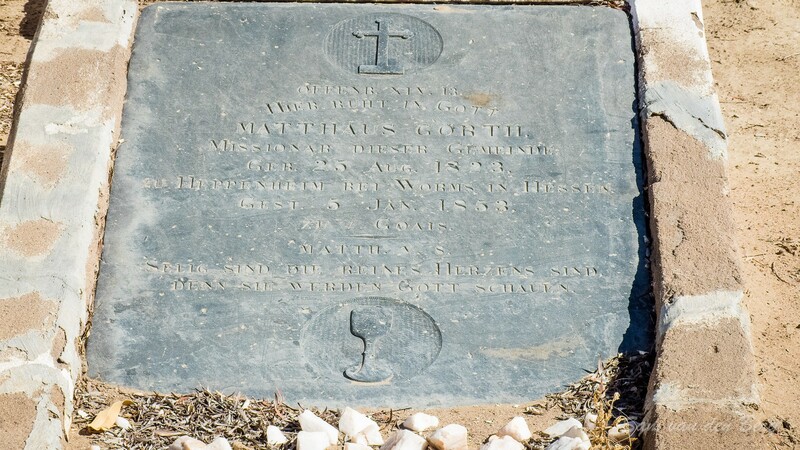 During his stay in Bethanië, Knudsen persuaded the leader of the Nama of Bethanië, Petrus Frederiks, to donate the house and the adjacent piece of land to the Rhenish Mission Society. Since then, the house has been the property of the Society and its successors in title. 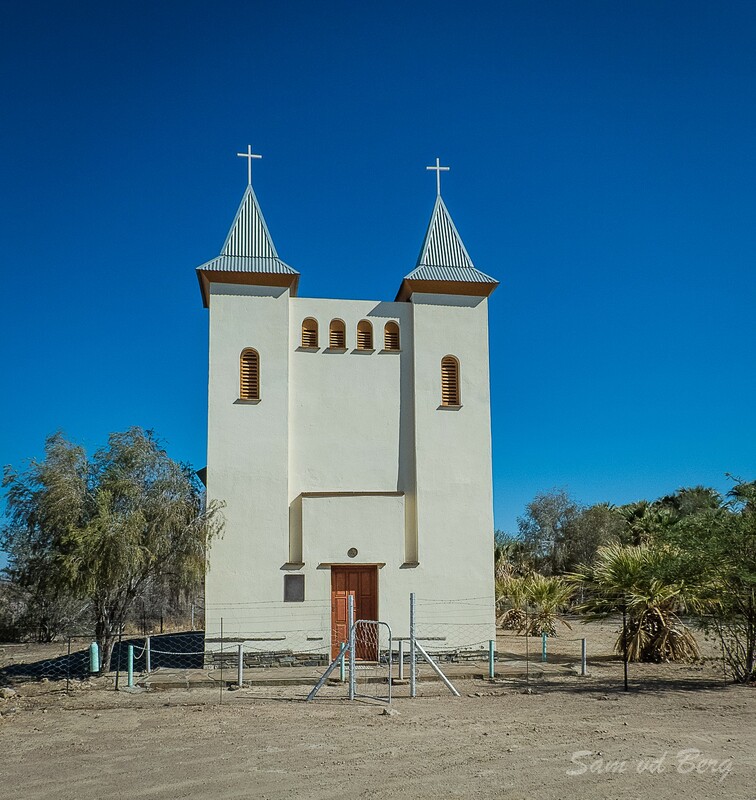 The house measures approximately 9 m x 3.5 m wide and 3.75 m high. Knudsen built the walls by piling up flat stones halfway, and finishing them off with clay bricks. Inside they were plastered with cow dung and clay. It was limewashed several times in varying colours. 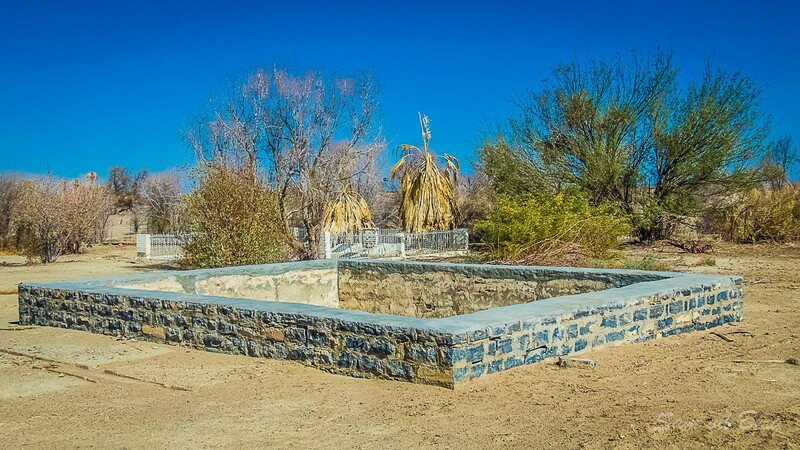 The roof was built from camelthorn beams, covered with reeds and bulrush mats, and capped with a layer of clay. In the western wall was a firing-port, facing the original spring. 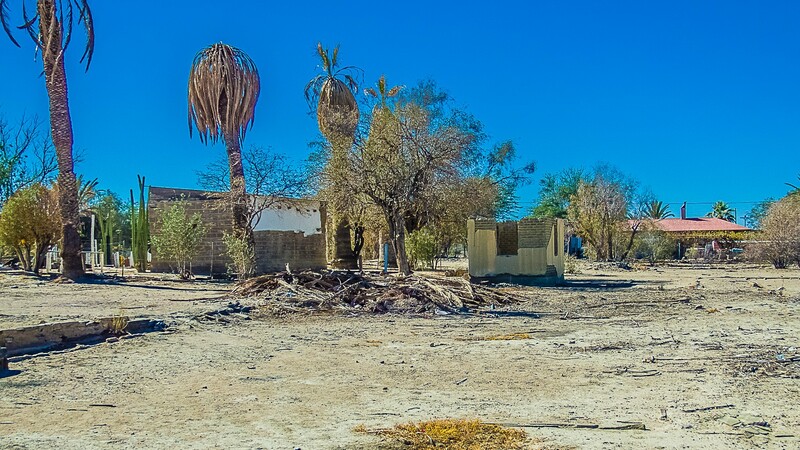 The dwelling is a unique feature of early pre-colonial architecture in Namibia. 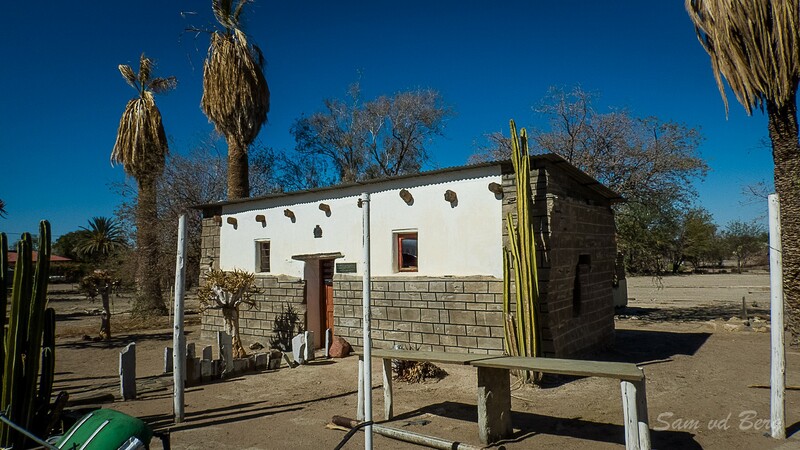 The historical significance of this house lies in the fact that it is believed to be the second oldest house to be built by Europeans in Namibia. 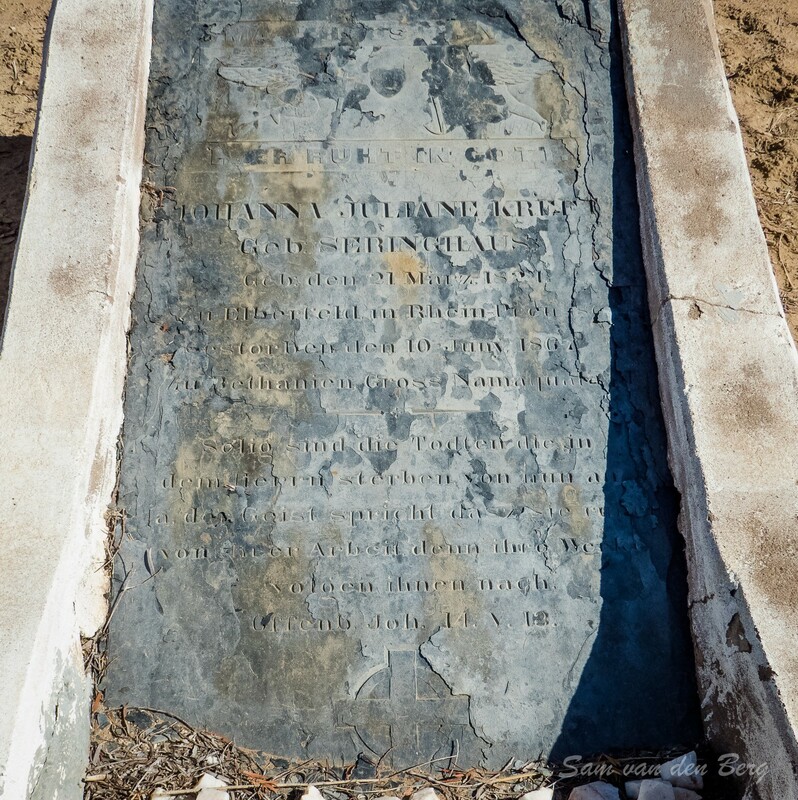 The oldest house was built by the Wesleyan missionaries at Warmbad in 1806, but it was destroyed by Jager Afrikaner, father of Jonker Afrikaner, in 1812. 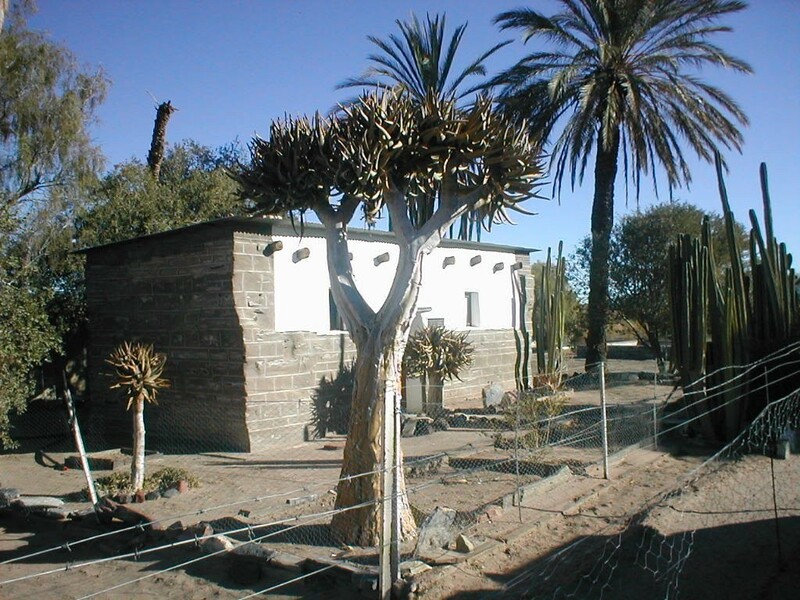 The new missionary house in Warmbad, erected in 1834, was also built on the ruins of the former dwelling. This makes Rev. Schmelen’s Cottage the oldest existing building in the country. 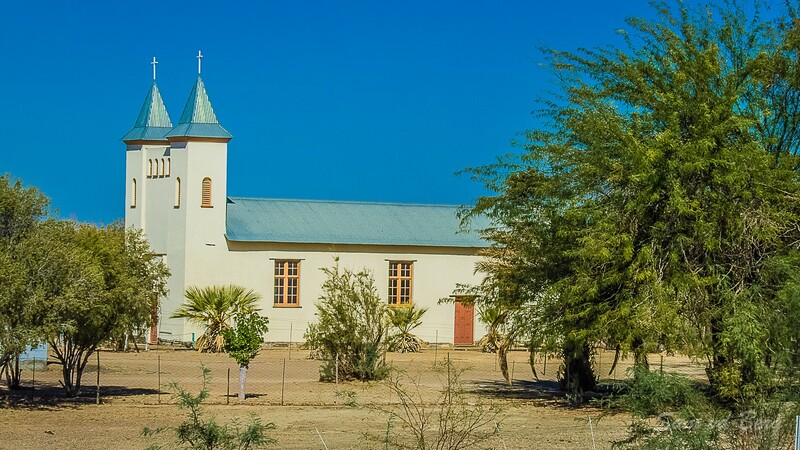 The mission church, built by Herrmann Heinrich Kreft (1823-1878) of the Rhenish Mission Society, was one of the first mission churches in Namibia. The building works started in the beginning of 1859. 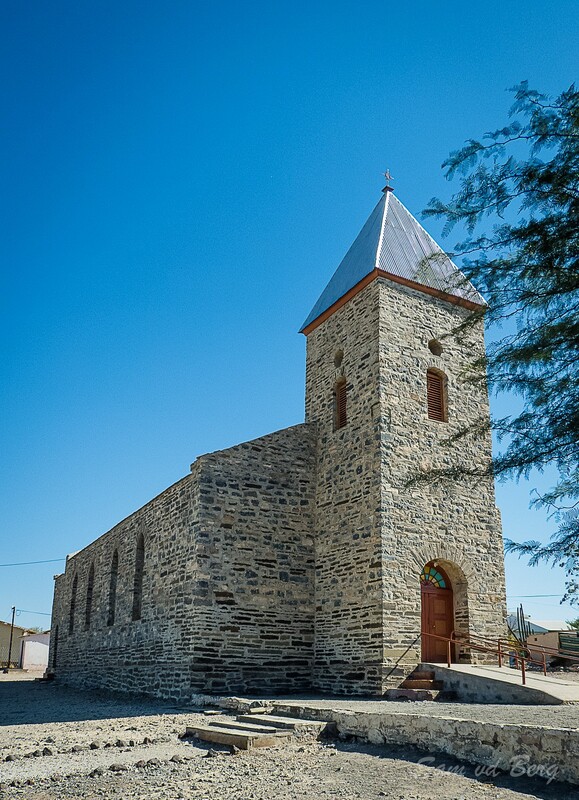 The parish at Bethanië supported Kreft eagerly with the construction and the Nama leader, David Christian, provided the windows and the pulpit. 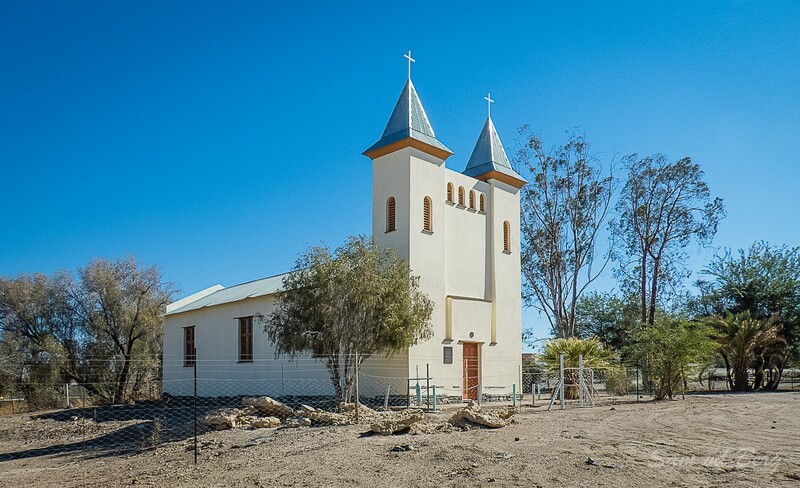 On 26 June 1859 the church was consecrated. The church originally had two towers, and served as a reminder of the church at Unterbarmen in Germany. 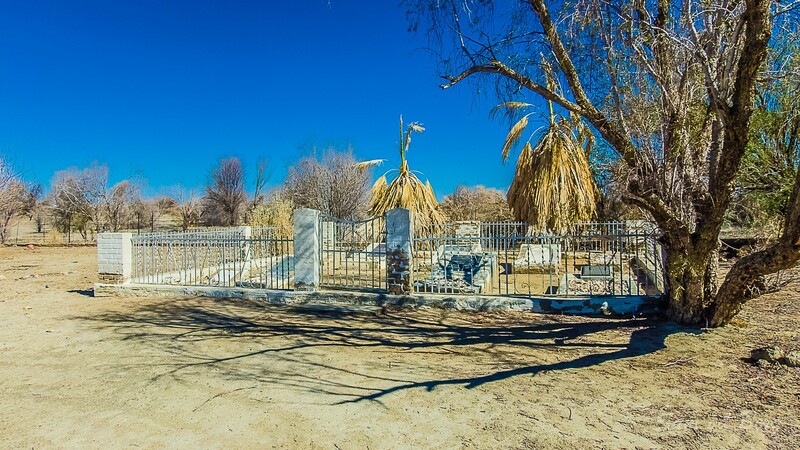 A few metres away from Schmelen House and the original mission church is a small cemetery in which a couple of missionaries and their relatives, who had worked in Bethanië, lie buried. 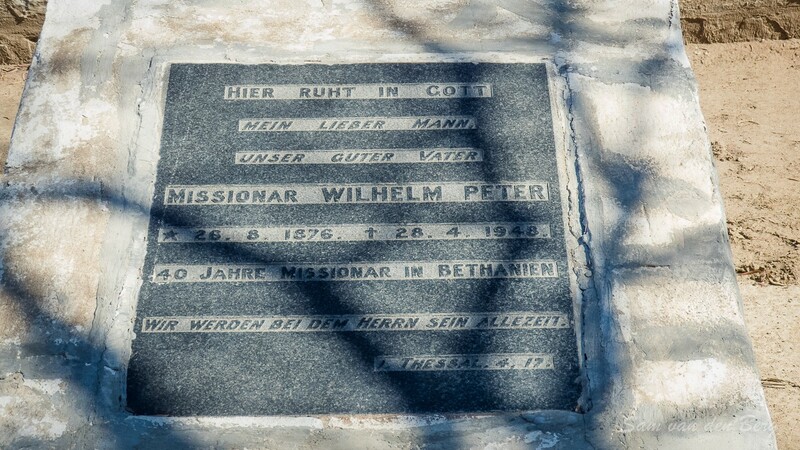 Amongst others, missionery Kreft and his wife, and the missionaries Johannes Bam (1849-1891) and M Gorth are buried here. 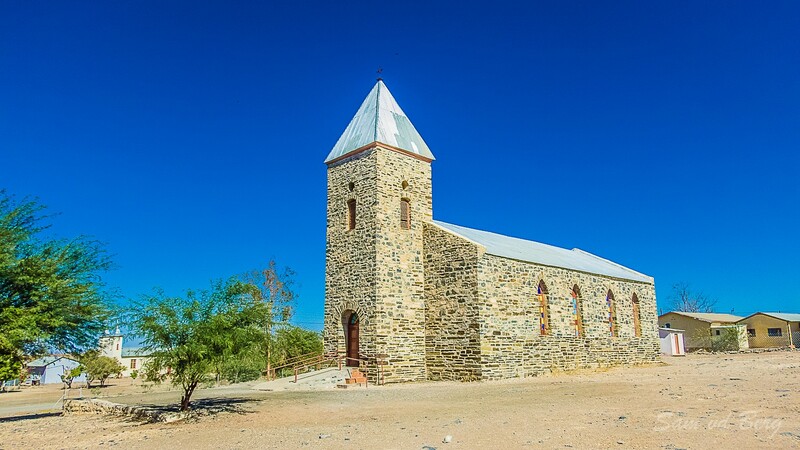 The complex comprises the Stone cottage (Reverend Schmelen’s Cottage), the original mission church in Bethanië, and the adjacent graveyard. 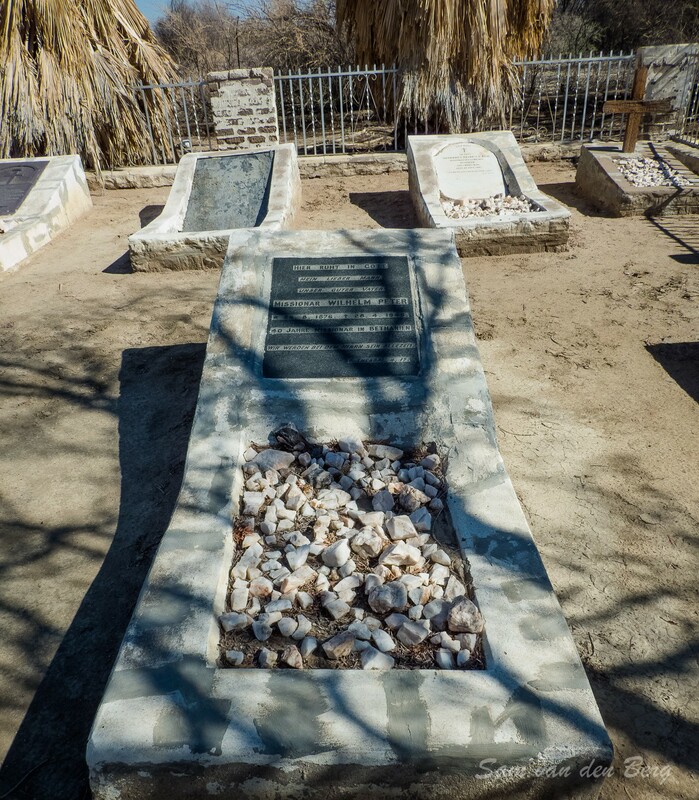 The complex is situated in Bethanie and was proclaimed a national monument on 1 February 1952.